Here are a couple of books that I'm reviewing for journals right now: Sean Kealy's 3rd ed. 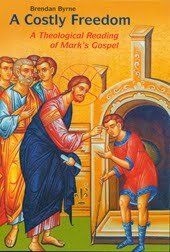 of Mark's Gospel: A History of Its Interpretation and Brendan Byrne's A Costly Freedom: A Theological Interpretation of Mark's Gospel. The former author, Kealy, is one (if not "the") leading scholar on how the Gospel accounts have been interpreted throughout history. His first edition of this work covered Mark through the 19th century, his second through the 20th century and his new one through the 21st. 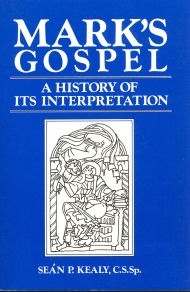 The book by Byrne, which I am quite looking forward to reading is the third in a trilogy on the Gospels. Byrne's typical approach more theological than anything. Anyway, I'm looking forward to reading these books side-by-side and discovering the fruit they have to offer. Anyone read either of these works? If so, what are your thoughts?